William Rice, President of the Web Marketing Association has one again been asked to participate in B2B Magazines article “10 Great b2b Sites” by Karen Bannon. The Web Marketing Association is pleased to announce the winners of its14th annual WebAward Competition for Web site development. More than 2,000 sites from 45 countries were adjudicated in 96 industry categories during this year’s competition. Entries were judged on design, copy writing, innovation, content, interactivity, navigation, and use of technology. A complete list of the winning sites can be found at the WebAward Web site at www.webaward.org. The 2010 Best of Show WebAward is presented to Hitchcock Fleming & Associates Inc. for their exceptional work on “Glidden Website”. The site was also recognized as Best Manufacturing Website. When Glidden decided to revamp their website, they turned to Hitchcock Fleming & Associates to help communicate feelings of fun, ease and design confidence. Through the creation of an inspiring color selector, the user-friendly new site allows consumers to visualize the room of their dreams before ever lifting a brush. For the second year in a row, Extractable was named Top Agency at the 2010 WebAward Competition, taking home 27 WebAwards. The Top Agency Award is given to recognize the consistently outstanding development going on at interactive firms. The Bay Area interactive agency specializing in web strategy, web design, custom technology, was recognized with Best Computer Hardware Website, Best Credit Union Website, an Outstanding Website WebAward and 24 Standard of Excellence WebAwards. The WebAward competition format allows Web sites to compete head to head with other sites within their industry to win the Best of Industry award. Entries also compete against a standard of excellence to win Outstanding Website and Standard of Excellence WebAward. Each site is judged on seven different criteria and earns a score between 0 and 70 points. The highest score in a given category wins Best of Industry for that category. If the remaining entries receive a score of 60 or greater, they receive the Outstanding Web site award. Entries that score higher than their industry average and below 59.9 receive the Standard of Excellence. The 2010 WebAwards are sponsored by the following leading organizations: ExactTarget, Burst Media, PR Newswire, AllBusiness, BGT Partners, ad:tech conferences, NewsUSA, Internet World UK, Search Engine Strategies, Webmaster Radio and Website Magazine. The Web Marketing Association is working to create a high standard of excellence for Web site development and marketing on the Internet. Staffed by volunteers, it is made up of Internet marketing, advertising, PR and design professionals who share an interest in improving the quality of Website development and marketing on the Internet. Since 1997, the Web Marketing Association’s annual WebAward Competition has been helping interactive professionals promote themselves, their companies, and their best work to the outside world. Now in its 14th year, the WebAward Competition has become the premier award event for Web developers and marketers worldwide. Once again our friends at ad:tech Conferences have given us a free full conference pass to ad:tech NYC November 3-4 at the Javats Convention Center. If you are interested in attending without having to pay, send your name, title, company, and address to adtech@webaward.org. One winner will be randomly selected September 30th and will attend as our guest. Join us at adtech, the world’s largest digital marketing event, and learn everything you ever wanted to know about digital marketing in one collaborative setting. Through speaking sessions and hands-on tutorials, leading industry experts will show you how to market more effectively using social media, email, mobile, search, video and more. Keynote speakers include Lauren Zalaznick, President of Women and Lifestyle Entertainment Networks at NBC Universal and John Furey, Founder of MindTime Project. Register now with code WMANY and save $200 off the current online price! Visit http://ad-tech.com/ny for the latest details on schedule, speakers, exhibitors and events. In a departure from the past, the Web Marketing Association is no longer pre-announcing the winners to the participants prior to the public release of results on September 15th. If you entered the 2010 WebAward Competition, please log in to your nominator account and review the information submitted for each entry before September 15th. Specifically review the title of the entry and who is to be recognized for winning the award. This is information that will be included on the awards as well as information that will be posted online on our website. Only the nominator can update this information and only through the nominators account. There were some fantastic sites submitted for review this year and our expert judges spend hundreds of hours pouring over the entries and reviewing them on seven different criteria. While not everyone can win recognition in the 2010 WebAwards, everyone benefits from the judges scores benchmarked to their industry. For 2010, the WebAwards has also upgraded it’s physical awards. 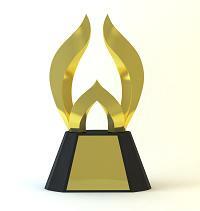 The top winner in each industry will receive a handsome gold trophy to display. The Certificate of Achievement has also been upgraded with the help of our friends at BGT Partners. We are also looking to improve our production process so that winners receive their awards quicker and with less errors, so be sure to review your entry data before September 15th. 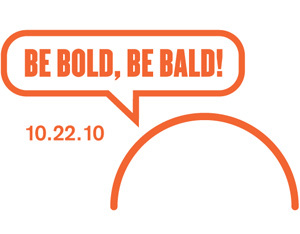 On October 22, 2010, please join us and wear a bald cap all day to show solidarity with cancer patients, raise awareness to effects of this devastating illness and raise money for charity. For a small fee ($15) you will receive your own bald cap, a tee-shirt and information on how you can help make a difference. The Web Marketing Association has created a team for the online marketing community to help this wonderful cause. Click here to learn more and join the “I Can Make A Difference” team and receive your own Be Bold Be Bald kit. Bold, Be Bald! was created by Small Army for a Cause, a 501c3 organization founded by members of Small Army (an advertising, marketing and creative services agency) in Boston, Massachusetts. The organization was launched in honor of Mike Connell, co-founder and former Creative Principal of Small Army, who lost his battle with cancer in 2007. Mike was an active member of the WMA and he is missed by all who knew him.